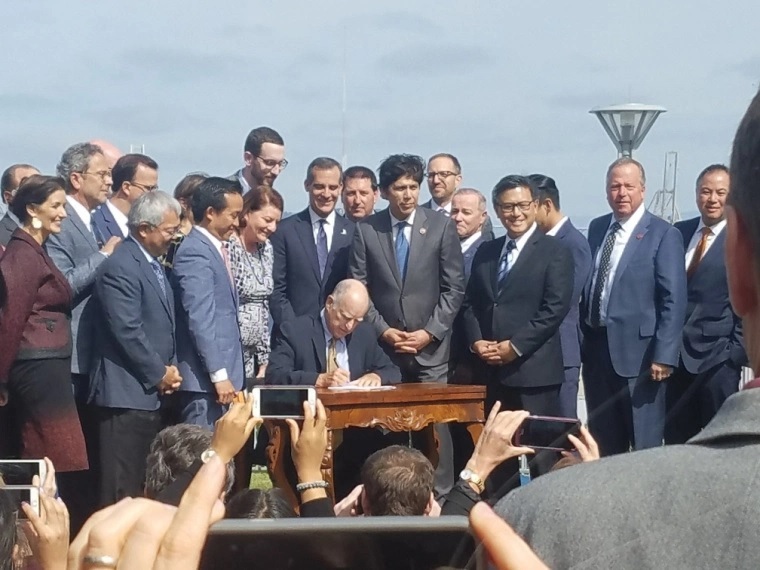 WASHINGTON – (RealEstateRama) — Mercy Housing California is honored to celebrate with our partners and legislative leaders a hard-fought victory for the future of affordable housing and healthy communities. Signing into law a package of 15 bills, Governor Jerry Brown gave the final approval to tackle the state’s affordability crisis through a two-pronged approach: streamlining the lengthy and costly permitting process to help address the housing shortage and greenlighting two bills to provide much-needed funding for the construction of new, affordable homes. “We salute Governor Jerry Brown and our legislative leaders for the passage of this historic housing package. With homeless counts up in so many parts of our state and hard-working families finding it harder and harder to find a decent and stable roof for their children, this legislation is an incredible opportunity to begin addressing the most important issues of our time,” says Doug Shoemaker, President of Mercy Housing California. Among the legislation signed today, was Senate Bill 3 (Sen. Jim Beall, D-Campbell) which puts a $4 billion affordable housing bond on the next year’s November ballot. According to Beall, the measure would make possible about $20 million in affordable housing construction after including tax credits and matching funds—helping to fill the gap left from the dissolution of the state’s redevelopment agencies. Though, these bills alone are likely not sufficient in completely solving California’s housing crunch, they are a bold and important step forward in no longer ignoring the affordability and homelessness crisis across our state.